Recent Arrival! **CLEAN CAR FAX**, **NON SMOKER**, **LOCAL TRADE**, **KEYLESS ENTRY**, Equipment Group 200A. 2016 Ford Escape SE EcoBoost 2.0L I4 GTDi DOHC Turbocharged VCT FWD Awards: * 2016 KBB.com Brand Image Awards Why buy from College Station Ford? We are committed to providing transparent, genuine and authentic customer service. We value our customers and community. We have a wide selection of New, Pre-Owned and Certified Pre-Owned vehicles to meet the needs of all our customers. Just a half mile north of Harvey Rd on Hwy 6 North We look forward to being YOUR car dealer! Call (979)694-2022 and schedule your test drive today! **CARFAX 1 OWNER**, **CLEAN CAR FAX**, **NON SMOKER**, **LOCAL TRADE**, **KEYLESS ENTRY**, 4.2" Productivity Screen in Instrument Cluster, 8-Way Power Driver's Seat, ABS brakes, Auto-Dimming Rear-View Mirror, Chrome Billet Style Grille w/Chrome Surround, Chrome Door & Tailgate Handles w/Body-Color Bezel, Chrome Step Bars, Class IV Trailer Hitch Receiver, Compass, Electronic Stability Control, Equipment Group 301A Mid, Fixed Backlight w/Privacy Glass, Illuminated entry, Leather-Wrapped Steering Wheel, Low tire pressure warning, Power Driver/Manual Passenger Lumbar, Power Glass Heated Sideview Mirrors, Power-Adjustable Pedals, Radio: Single-CD w/SiriusXM Satellite, Rear Under-Seat Storage, Rear View Camera w/Dynamic Hitch Assist, Rear Window Defroster, Remote keyless entry, Single-Tip Chrome Exhaust, SYNC Voice Recognition Communications, Traction control, Wheels: 18" Chrome-Like PVD, XLT Chrome Appearance Package. 2015 Ford F-150 XLT 5.0L V8 FFV RWD Awards: * Green Car Journal 2015 Green Car Technology Award * NACTOY 2015 North American Truck of the Year * 2015 KBB.com Brand Image Awards Based on 2017 EPA mileage ratings. Use for comparison purposes only. Your mileage will vary depending on how you drive and maintain your vehicle, driving conditions and other factors. 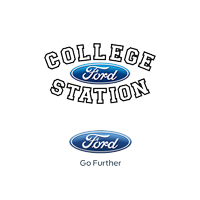 Why buy from College Station Ford? We are committed to providing transparent, genuine and authentic customer service. We value our customers and community. We have a wide selection of New, Pre-Owned and Certified Pre-Owned vehicles to meet the needs of all our customers. Just a half mile north of Harvey Rd on Hwy 6 North We look forward to being YOUR car dealer! Call (979)694-2022 and schedule your test drive today! Recent Arrival! **CARFAX 1 OWNER**, **NON SMOKER**, **KEYLESS ENTRY**, 4.2" Productivity Screen in Instrument Cluster, Auto-Dimming Rear-View Mirror, Class IV Trailer Hitch Receiver, Cloth 40/20/40 Front Seat, Power Glass Heated Sideview Mirrors, Radio: Single-CD w/SiriusXM Satellite, Rear View Camera w/Dynamic Hitch Assist, Rear Window Defroster, SYNC Voice Recognition Communications. Odometer is 25736 miles below market average! 2016 Ford F-150 XL 2.7L V6 EcoBoost RWD Awards: * 2016 KBB.com Brand Image Awards Why buy from College Station Ford? We are committed to providing transparent, genuine and authentic customer service. We value our customers and community. We have a wide selection of New, Pre-Owned and Certified Pre-Owned vehicles to meet the needs of all our customers. Just a half mile north of Harvey Rd on Hwy 6 North We look forward to being YOUR car dealer! Call (979)694-2022 and schedule your test drive today! **CARFAX 1 OWNER**, **CLEAN CAR FAX**, **NON SMOKER**, **NAVIGATION, **KEYLESS ENTRY**, **REMOTE START**, **LEATHER**, **BLUETOOTH HANDS FREE CALLING**, Equipment Group 300A. 2018 Ford Explorer Limited 3.5L 6-Cylinder SMPI Turbocharged DOHC FWD Why buy from College Station Ford? We are committed to providing transparent, genuine and authentic customer service. We value our customers and community. We have a wide selection of New, Pre-Owned and Certified Pre-Owned vehicles to meet the needs of all our customers. Just a half mile north of Harvey Rd on Hwy 6 North We look forward to being YOUR car dealer! Call (979)694-2022 and schedule your test drive today! Recent Arrival! **CARFAX 1 OWNER**, **CLEAN CAR FAX**, **NON SMOKER**, **NAVIGATION, **KEYLESS ENTRY**, **REMOTE START**, **LEATHER**, **BLUETOOTH HANDS FREE CALLING**, Equipment Group 300A. 2018 Ford Explorer Limited 3.5L 6-Cylinder SMPI Turbocharged DOHC AWD Why buy from College Station Ford? We are committed to providing transparent, genuine and authentic customer service. We value our customers and community. We have a wide selection of New, Pre-Owned and Certified Pre-Owned vehicles to meet the needs of all our customers. Just a half mile north of Harvey Rd on Hwy 6 North We look forward to being YOUR car dealer! Call (979)694-2022 and schedule your test drive today! Recent Arrival! **CARFAX 1 OWNER**, **NON SMOKER**, **LOCAL TRADE**, **NAVIGATION, **KEYLESS ENTRY**, **REMOTE START**, **LEATHER**, **MOONROOF**, ABS brakes, AM/FM radio: SIRIUS, Colored Front & Rear Rancho Branded Shocks, Compass, Electronic Stability Control, Front dual zone A/C, FX4 Off-Road Package, Heated door mirrors, Hill Descent Control, Illuminated entry, Lariat Ultimate Package, Low tire pressure warning, Memory Power Adjustable Pedals, Memory Power Heated/Cooled Driver Seat, Memory PowerScope Trailer Tow Mirrors, Order Code 618A, Power Heated/Cooled Passenger Seat, Power Moonroof, Radio: Navigation System w/HD Radio, Rear-View Camera, Remote keyless entry, Remote Start System, Satellite Radio, Tailgate Step & Handle w/TailGate Assist, Traction control. Odometer is 44585 miles below market average! 2012 Ford F-350SD Lariat Power Stroke 6.7L V8 DI 32V OHV Turbodiesel 4WD Awards: * 2012 KBB.com Brand Image Awards Why buy from College Station Ford? We are committed to providing transparent, genuine and authentic customer service. We value our customers and community. We have a wide selection of New, Pre-Owned and Certified Pre-Owned vehicles to meet the needs of all our customers. Just a half mile north of Harvey Rd on Hwy 6 North We look forward to being YOUR car dealer! Call (979)694-2022 and schedule your test drive today! **CARFAX 1 OWNER**, **CLEAN CAR FAX**, **NON SMOKER**, **LOCAL TRADE**, **NAVIGATION, **KEYLESS ENTRY**, **REMOTE START**, **LEATHER**, **MOONROOF**, **BLUETOOTH HANDS FREE CALLING**, 110V/400W Outlet, 2nd Row Heated Seats, ABS brakes, Automatic High Beam w/Rain-Sensing Wipers, Auxiliary Transmission Oil Cooler, BLIS Blind Spot Information System, Chrome 3-Bar Style Grille w/Chrome Surround, Chrome Angular Step Bars, Chrome Door Handles w/Body-Color Bezel, Chrome Skull Caps on Exterior Mirrors, Class IV Trailer Hitch Receiver, Compass, Electronic Locking w/3.55 Axle Ratio, Electronic Stability Control, Equipment Group 502A Luxury, Front dual zone A/C, Heated door mirrors, Heated front seats, Heated Steering Wheel, Illuminated entry, Integrated Trailer Brake Controller, Lariat Chrome Appearance Package, Leather-Trimmed Bucket Seats, LED Side-Mirror Spotlights, Low tire pressure warning, Max Trailer Tow Package, Power Glass Sideview Mirr w/Chrome Skull Caps, Power Tilt/Telescoping Steering Column w/Memory, Quad Beam LED Headlamps & Taillamps, Radio: Sony Single CD w/HD & SiriusXM Satellite, Remote keyless entry, Remote Start System, Reverse Sensing System, Single-Tip Chrome Exhaust, Traction control, Universal Garage Door Opener, Upgraded Front Stabilizer Bar, Voice-Activated Navigation, Wheels: 18" Chrome-Like PVD. 2015 Ford F-150 Lariat EcoBoost 3.5L V6 GTDi DOHC 24V Twin Turbocharged 4WD Awards: * Green Car Journal 2015 Green Car Technology Award * NACTOY 2015 North American Truck of the Year * 2015 KBB.com Brand Image Awards Based on 2017 EPA mileage ratings. Use for comparison purposes only. Your mileage will vary depending on how you drive and maintain your vehicle, driving conditions and other factors. Why buy from College Station Ford? We are committed to providing transparent, genuine and authentic customer service. We value our customers and community. We have a wide selection of New, Pre-Owned and Certified Pre-Owned vehicles to meet the needs of all our customers. Just a half mile north of Harvey Rd on Hwy 6 North We look forward to being YOUR car dealer! Call (979)694-2022 and schedule your test drive today! Recent Arrival! **CARFAX 1 OWNER**, **CLEAN CAR FAX**, **NON SMOKER**, **LOCAL TRADE**, **KEYLESS ENTRY**, 10-Way Power Driver's & Passenger Seats, 110V/400W Outlet, 4.2" Productivity Screen in Instrument Cluster, ABS brakes, Auto-Dimming Rear-View Mirror, Chrome Billet Style Grille w/Chrome Surround, Chrome Door & Tailgate Handles w/Body-Color Bezel, Chrome Step Bars, Class IV Trailer Hitch Receiver, Compass, Electronic Stability Control, Equipment Group 302A Luxury, Heated Front Seats, Illuminated entry, Leather-Wrapped Steering Wheel, LED Box Lighting, Low tire pressure warning, Power Driver/Passenger Lumbar, Power Glass Heated Sideview Mirrors, Power-Adjustable Pedals, Power-Sliding Rear Window, Radio: Single-CD w/SiriusXM Satellite, Rear Under-Seat Storage, Rear View Camera w/Dynamic Hitch Assist, Rear Window Defroster, Remote keyless entry, Remote Start System, Reverse Sensing System, Single-Tip Chrome Exhaust, SYNC Voice Recognition Communications, SYNC with MyFord Touch, Traction control, Wheels: 18" Chrome-Like PVD, XLT Chrome Appearance Package. Odometer is 10082 miles below market average! 2015 Ford F-150 XLT 2.7L V6 EcoBoost 4WD Awards: * NACTOY 2015 North American Truck of the Year * Green Car Journal 2015 Green Car Technology Award * 2015 KBB.com Brand Image Awards Based on 2017 EPA mileage ratings. Use for comparison purposes only. Your mileage will vary depending on how you drive and maintain your vehicle, driving conditions and other factors. Why buy from College Station Ford? We are committed to providing transparent, genuine and authentic customer service. We value our customers and community. We have a wide selection of New, Pre-Owned and Certified Pre-Owned vehicles to meet the needs of all our customers. Just a half mile north of Harvey Rd on Hwy 6 North We look forward to being YOUR car dealer! Call (979)694-2022 and schedule your test drive today! Recent Arrival! **CARFAX 1 OWNER**, **CLEAN CAR FAX**, **NON SMOKER**, **LOCAL TRADE**, **KEYLESS ENTRY**, **BLUETOOTH HANDS FREE CALLING**, 10-Way Power Driver & Passenger Seats, 2-Bar Style Grille w/Chrome 2 Minor Bars, 4.2" Productivity Screen in Instrument Cluster, ABS brakes, Auto-Dimming Rear-View Mirror, Chrome Door & Tailgate Handles w/Body-Color Bezel, Chrome Step Bars, Class IV Trailer Hitch Receiver, Cloth 40/20/40 Front Seat, Compass, Electronic Stability Control, Equipment Group 302A Luxury, Fixed Backlight w/Privacy Glass, Heated Front Seats, Illuminated entry, Leather-Wrapped Steering Wheel, Low tire pressure warning, Power Glass Heated Sideview Mirrors, Power-Adjustable Pedals, Radio: Single-CD/SiriusXM w/7 Speakers, Rear Under-Seat Storage, Rear Window Defroster, Remote keyless entry, Remote Start System, Reverse Sensing System, Single-Tip Chrome Exhaust, SYNC, SYNC 3, Traction control, Wheels: 18" Chrome-Like PVD, XLT Chrome Appearance Package. 2018 Ford F-150 XLT 2.7L V6 EcoBoost RWD Why buy from College Station Ford? We are committed to providing transparent, genuine and authentic customer service. We value our customers and community. We have a wide selection of New, Pre-Owned and Certified Pre-Owned vehicles to meet the needs of all our customers. Just a half mile north of Harvey Rd on Hwy 6 North We look forward to being YOUR car dealer! Call (979)694-2022 and schedule your test drive today! **CARFAX 1 OWNER**, **CLEAN CAR FAX**, **NON SMOKER**, **KEYLESS ENTRY**, 4.2" Productivity Screen in Instrument Cluster, Auto-Dimming Rear-View Mirror, Class IV Trailer Hitch Receiver, Cloth 40/20/40 Front Seat, Power Glass Heated Sideview Mirrors, Radio: Single-CD w/SiriusXM Satellite, Rear View Camera w/Dynamic Hitch Assist, Rear Window Defroster, SYNC Voice Recognition Communications. Odometer is 19585 miles below market average! 2016 Ford F-150 XL 2.7L V6 EcoBoost 4WD Awards: * 2016 KBB.com Brand Image Awards Why buy from College Station Ford? We are committed to providing transparent, genuine and authentic customer service. We value our customers and community. We have a wide selection of New, Pre-Owned and Certified Pre-Owned vehicles to meet the needs of all our customers. Just a half mile north of Harvey Rd on Hwy 6 North We look forward to being YOUR car dealer! Call (979)694-2022 and schedule your test drive today! **CARFAX 1 OWNER**, **CLEAN CAR FAX**, **NON SMOKER**, **KEYLESS ENTRY**. 2018 Ford F-150 XL 5.0L V8 4WD Why buy from College Station Ford? We are committed to providing transparent, genuine and authentic customer service. We value our customers and community. We have a wide selection of New, Pre-Owned and Certified Pre-Owned vehicles to meet the needs of all our customers. Just a half mile north of Harvey Rd on Hwy 6 North We look forward to being YOUR car dealer! Call (979)694-2022 and schedule your test drive today! **CARFAX 1 OWNER**, **NON SMOKER**, **KEYLESS ENTRY**, 110V/400W Outlet, Auto-Dimming Rear-View Mirror, Class IV Trailer Hitch Receiver, Cloth 40/20/40 Front Seat, Power Glass Heated Sideview Mirrors, Power-Sliding Rear Window, Radio: Single-CD w/SiriusXM Satellite, Rear View Camera w/Dynamic Hitch Assist, Rear Window Defroster, Reverse Sensing System, SYNC Voice Recognition Communications. Odometer is 29652 miles below market average! 2016 Ford F-150 XL EcoBoost 3.5L V6 GTDi DOHC 24V Twin Turbocharged RWD Awards: * 2016 KBB.com Brand Image Awards Why buy from College Station Ford? We are committed to providing transparent, genuine and authentic customer service. We value our customers and community. We have a wide selection of New, Pre-Owned and Certified Pre-Owned vehicles to meet the needs of all our customers. Just a half mile north of Harvey Rd on Hwy 6 North We look forward to being YOUR car dealer! Call (979)694-2022 and schedule your test drive today! **CLEAN CAR FAX**, **NON SMOKER**, **LOCAL TRADE**, **KEYLESS ENTRY**, ABS brakes, Compass, Electronic Stability Control, Heated door mirrors, Illuminated entry, Low tire pressure warning, Order Code 603A, Remote keyless entry, Traction control. 2016 Ford F-250SD XLT Power Stroke 6.7L V8 DI 32V OHV Turbodiesel 4WD Awards: * 2016 KBB.com Brand Image Awards Why buy from College Station Ford? We are committed to providing transparent, genuine and authentic customer service. We value our customers and community. We have a wide selection of New, Pre-Owned and Certified Pre-Owned vehicles to meet the needs of all our customers. Just a half mile north of Harvey Rd on Hwy 6 North We look forward to being YOUR car dealer! Call (979)694-2022 and schedule your test drive today! Recent Arrival! **CARFAX 1 OWNER**, **CLEAN CAR FAX**, **NON SMOKER**, **KEYLESS ENTRY**, **REMOTE START**, **LEATHER**, 110V/400W Outlet, 4x4 FX4 Off-Road Bodyside Decal, BLIS Blind Spot Information System, Equipment Group 501A Mid, FX4 Off-Road Package, Hill Descent Control, LED Sideview Mirror Spotlights, Off-Road Tuned Front Shock Absorbers, Power Glass Sideview Mirr w/Body-Color Skull Caps, Remote Start System w/Remote Tailgate Release, Reverse Sensing System, Universal Garage Door Opener. Odometer is 6686 miles below market average! 2018 Ford F-150 Lariat 5.0L V8 4WD Why buy from College Station Ford? We are committed to providing transparent, genuine and authentic customer service. We value our customers and community. We have a wide selection of New, Pre-Owned and Certified Pre-Owned vehicles to meet the needs of all our customers. Just a half mile north of Harvey Rd on Hwy 6 North We look forward to being YOUR car dealer! Call (979)694-2022 and schedule your test drive today! Recent Arrival! **CARFAX 1 OWNER**, **CLEAN CAR FAX**, **NON SMOKER**, **KEYLESS ENTRY**, **REMOTE START**, **LEATHER**, **BLUETOOTH HANDS FREE CALLING**, 110V/400W Outlet, 4x4 FX4 Off-Road Bodyside Decal, BLIS Blind Spot Information System, Equipment Group 501A Mid, FX4 Off-Road Package, Hill Descent Control, LED Sideview Mirror Spotlights, Off-Road Tuned Front Shock Absorbers, Power Glass Sideview Mirr w/Body-Color Skull Caps, Remote Start System w/Remote Tailgate Release, Reverse Sensing System, Universal Garage Door Opener. 2018 Ford F-150 Lariat 5.0L V8 4WD Why buy from College Station Ford? We are committed to providing transparent, genuine and authentic customer service. We value our customers and community. We have a wide selection of New, Pre-Owned and Certified Pre-Owned vehicles to meet the needs of all our customers. Just a half mile north of Harvey Rd on Hwy 6 North We look forward to being YOUR car dealer! Call (979)694-2022 and schedule your test drive today! **CARFAX 1 OWNER**, **CLEAN CAR FAX**, **NON SMOKER**, **KEYLESS ENTRY**, *** LONG BED ***, ABS brakes, Alloy wheels, Compass, Electronic Stability Control, Heated door mirrors, Illuminated entry, Low tire pressure warning, Remote keyless entry, Traction control. 2018 Ford F-250SD XLT Power Stroke 6.7L V8 DI 32V OHV Turbodiesel 4WD Why buy from College Station Ford? We are committed to providing transparent, genuine and authentic customer service. We value our customers and community. We have a wide selection of New, Pre-Owned and Certified Pre-Owned vehicles to meet the needs of all our customers. Just a half mile north of Harvey Rd on Hwy 6 North We look forward to being YOUR car dealer! 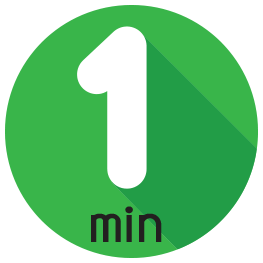 Call (979)694-2022 and schedule your test drive today! Recent Arrival! **CARFAX 1 OWNER**, **CLEAN CAR FAX**, **NON SMOKER**, **NAVIGATION, **KEYLESS ENTRY**, **LEATHER**, **TOWING PACKAGE**, Colored Front & Rear Rancho Branded Shocks, FX4 Off-Road Package, Hill Descent Control, Lariat Interior Package, Memory Power Adjustable Pedals, Memory Power Heated/Cooled Driver's Seat, Memory PowerScope Trailer Tow Mirrors, Order Code 618A, Power Heated/Cooled Passenger Seat, Remote Start System. Odometer is 514 miles below market average! 2016 Ford F-350SD Lariat Power Stroke 6.7L V8 DI 32V OHV Turbodiesel 4WD Awards: * 2016 KBB.com Brand Image Awards Why buy from College Station Ford? We are committed to providing transparent, genuine and authentic customer service. We value our customers and community. We have a wide selection of New, Pre-Owned and Certified Pre-Owned vehicles to meet the needs of all our customers. Just a half mile north of Harvey Rd on Hwy 6 North We look forward to being YOUR car dealer! Call (979)694-2022 and schedule your test drive today! **CARFAX 1 OWNER**, **CLEAN CAR FAX**, **NON SMOKER**, **KEYLESS ENTRY**, **REMOTE START**, **LEATHER**, Equipment Group 300A, Navigation System. 2018 Ford Expedition Limited EcoBoost 3.5L V6 GTDi DOHC 24V Twin Turbocharged RWD Awards: * JD Power Initial Quality Study (IQS) Why buy from College Station Ford? We are committed to providing transparent, genuine and authentic customer service. We value our customers and community. We have a wide selection of New, Pre-Owned and Certified Pre-Owned vehicles to meet the needs of all our customers. Just a half mile north of Harvey Rd on Hwy 6 North We look forward to being YOUR car dealer! Call (979)694-2022 and schedule your test drive today! **CLEAN CAR FAX**, **NON SMOKER**, **LOCAL TRADE**, **NAVIGATION, **KEYLESS ENTRY**, **REMOTE START**, **LEATHER**, **MOONROOF**, 18" Chrome Clad Cast Aluminum Wheels, 6" Angular Chrome Step Bars, ABS brakes, Accent Color Front Bumper, Accent Color Rear Bumper w/Step Pad, Body-Color Lower Bodyside Moldings, Chrome Exhaust Tip, Colored Front & Rear Rancho Branded Shocks, Compass, Console, Electronic Stability Control, Front dual zone A/C, FX4 Off-Road Package, GVWR: 10,000 lb Payload Package, Heated door mirrors, Hill Descent Control, Illuminated entry, King Ranch Chaparral Lthr-Wrapped Steering Wheel, King Ranch w/Chrome Package, Low tire pressure warning, Memory Power Adjustable Pedals, Order Code 608A, Painted Body Color Grille w/Chrome Insert, PowerScope Trailer Tow Mirrors, Remote keyless entry, Remote Start System, Tape Stripe, Traction control, Unique Chrome Mirror Caps, Unique Door Trim Panels, Unique King Ranch Leather 40/Console/40 Front Seats, Universal Garage Door Opener, Voice-Activated Navigation. Odometer is 11974 miles below market average! 2016 Ford F-250SD King Ranch Power Stroke 6.7L V8 DI 32V OHV Turbodiesel 4WD Awards: * 2016 KBB.com Brand Image Awards Why buy from College Station Ford? We are committed to providing transparent, genuine and authentic customer service. We value our customers and community. We have a wide selection of New, Pre-Owned and Certified Pre-Owned vehicles to meet the needs of all our customers. Just a half mile north of Harvey Rd on Hwy 6 North We look forward to being YOUR car dealer! Call (979)694-2022 and schedule your test drive today! **CARFAX 1 OWNER**, **CLEAN CAR FAX**, **NON SMOKER**, **KEYLESS ENTRY**, *** 20 INCH WHEELS ***, *** BRAND NEW TOYO TIRES ***, *** LEVELING KIT ***, ABS brakes, Alloy wheels, Compass, Electronic Stability Control, Heated door mirrors, Illuminated entry, Low tire pressure warning, Remote keyless entry, Traction control. Odometer is 8878 miles below market average! 2018 Ford F-250SD XLT Power Stroke 6.7L V8 DI 32V OHV Turbodiesel 4WD Why buy from College Station Ford? We are committed to providing transparent, genuine and authentic customer service. We value our customers and community. We have a wide selection of New, Pre-Owned and Certified Pre-Owned vehicles to meet the needs of all our customers. Just a half mile north of Harvey Rd on Hwy 6 North We look forward to being YOUR car dealer! Call (979)694-2022 and schedule your test drive today!